“A man was struck and killed by two cars the other evening”. I wasn’t sure whether I should laugh or cry. Bigfoot? Really? I mean, come ON people. The name Ghillie comes from the Gaelic word for servant. Developed by gamekeepers as a sort of portable hunting blind, the outfits were first used on deer hunting and fly fishing expeditions in the highlands of Scotland. The Ghillie suit was also employed by a Scottish Highland regiment during the second Boer War. That was the first instance of the British Army using sniper suits. 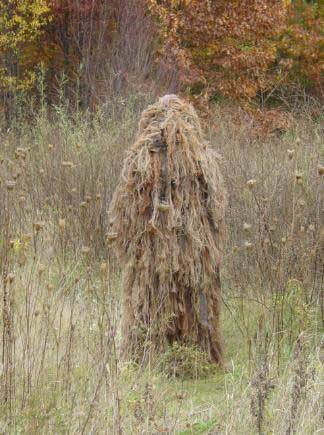 Although people used to have to build their Ghillie suits from scratch, using a whole-body coverall and adding twigs and leaves to it, kits are now available to make Ghillie suits. Just as a momentary aside, wouldn’t a made-from-scratch Ghillie suit covered with dry leaves and twigs be a major fire hazard? It wouldn’t take much to set them alight. I imagine Kit-made suits are much safer. 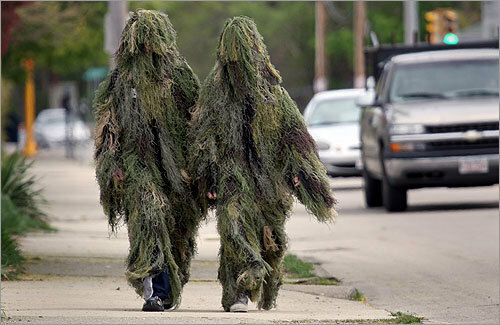 But even the companies that make the kits say that you shouldn’t smoke while wearing a Ghillie suit. Imagine that. As strange and outrageous as this story is, it’s also sad. Just for the sake of argument, let’s ignore the fact that most people understand how dangerous it is to walk around dressed as a supernatural creature. And more significantly, one who was wearing camouflage. 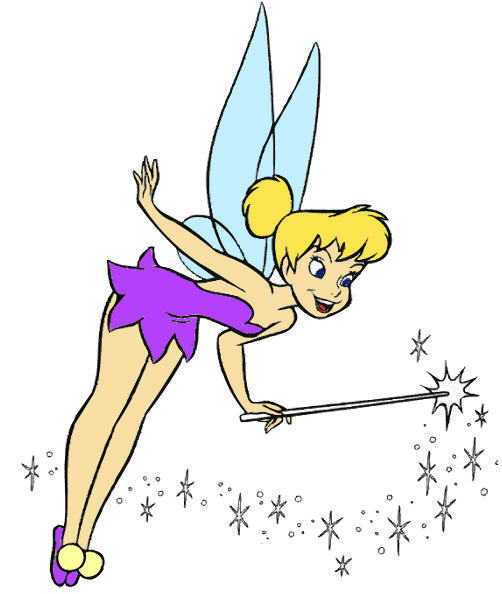 Maybe this guy wanted to put a little magic back in people’s lives. Maybe he was trying to lighten the lives of the people around him. Possibly he was just being a goofball or maybe even satisfying a bet. Maybe he just wanted people to believe in something. It’s a pretty depressing world out there right now. Maybe this guy just wanted to bring back a little mystery. What’s that you say? All of these are dangerous? Oh yes. Well, there IS that. All said, it was a hazardous game to play. 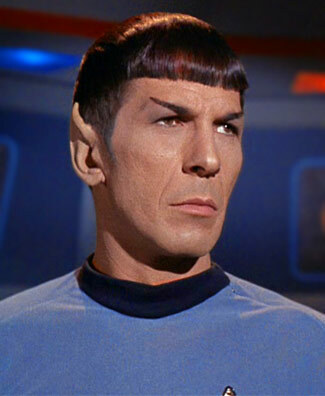 Admittedly, a man is dead and that is appallingly sad. Making fun of human stupidity seems pointless and cruel. As do the Darwin Awards lists. Even so, I am wondering if this fellow will at least get an honorable mention this year. And I do appreciate the effort to bring a little humor and curiosity back to a world that sorely needs it. But really, people, stand on the side of the road, OK? When even the cops are shaking their heads and saying they have never heard of anything like it, you know it might have been really bad idea. 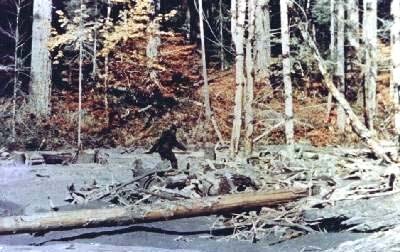 Do you believe in Bigfoot? 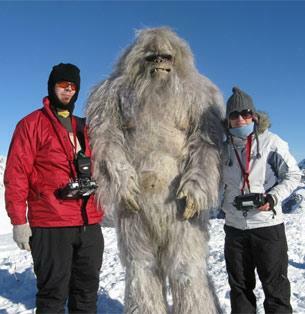 What about the Chupacabra or Yeti? 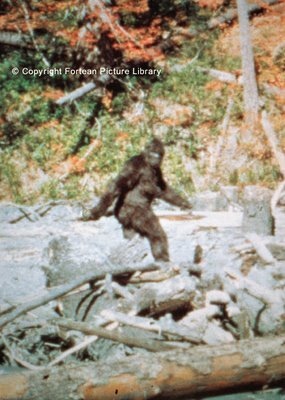 Heard of Cryptozoology? It’s the study of creatures that have not yet been proven to exist by science. Rather a fun read, if I say so myself. Any thoughts?